(Newser) – New to pot smoking? Concerned you'll embarrass yourself? Who better to turn to for advice than a trusted co-president of the Emily Post Institute—Post's own great-great-grandaughter, in fact. 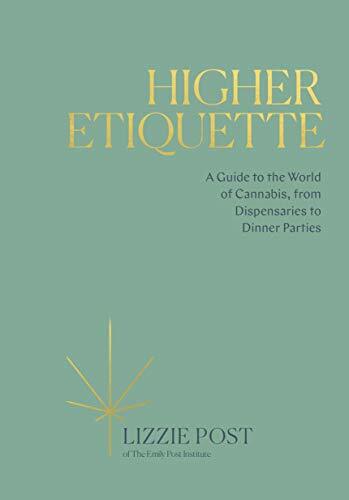 Yes, Lizzie Post has published a book on the subject of cannabis etiquette, appropriately titled Higher Etiquette, nearly a century after the iconic Etiquette: In Society, In Business, In Politics, and At Home. Do "corner" a bowl of packed buds when lighting a joint, meaning light it at an edge rather than along the entire top. This ensures some fresh green will be left as it gets passed along, rather than the entire thing being blackened at once. Don't "Bogart" the joint, meaning let it hang out of your mouth without seeming to actually smoke it, as Humphrey Bogart did with cigarettes. Do consider offering finger bowls of water on the table in case someone needs to wet their fingers to deal with an unevenly burning or otherwise troublesome joint. Don't offer cannabis-infused foods without clearly labeling them. No3 is an idea I've never seen used but consider worthy. This is a great christmas gift for your toker friends. Not The Vogue Book of Etiquette?